On the next screen click "Set Up" for "Facebook Login"
On the next screen click "Settings" on the left menu. Do not use the Quickstart guides. 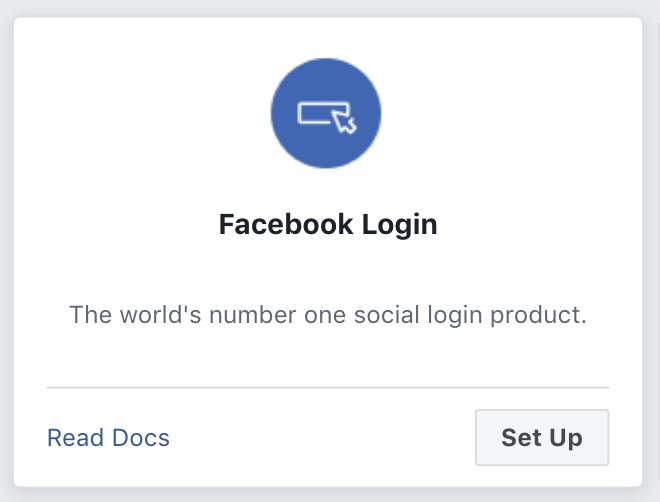 On the next screen enter the "Valid oAuth Redirect URLs" -- this can be found by visiting "Settings > Simple Social Login > Facebook" in your WordPress installation. On the top right of your screne toggle the application to be public. Back in your WordPress dashboard visit "Settings > Simple Social Login > Facebook". Enter the App credentials found in "Settings > Basic" in the Facebook application settings.